Don't stop yourself from achieving your dreams! Live your dreams, because only you can make them happen. Chopped up clips, bad audio. Do you want to distinguish yourself personally and professionally but are unsure how to go about making it happen? Let Mike Williams show you how to use the powerful techniques he has developed during a remarkable marketing and management consulting career spanning over 25 years. Mike's process takes you through personal and professional preparation, and into a process of moving forward that includes organizational and promotional techniques. Reknowned speaker, educator, author, activist and minister, Eric Thomas is rising to national prominence by delivering a high energy message that tells youth through first hand experience how to live up to their full potential and greatness and by breaking the cycles of crime, hopelessness and despair that many face daily. Known for his engagingly personal approach, his messages are both dynamic and inspiring. 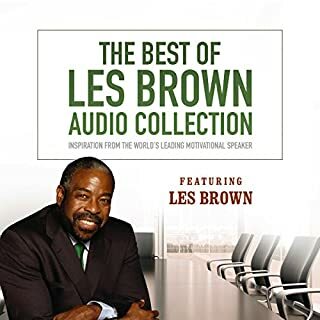 When coupled with his own cycle-breaking experience, his blunt essays on reality and remarkable ability to reach even the most jaded of minds, has helped thousands of youth nationwide become peak performers academically, spiritually and personally. Eric has electrified audiences ranging from Fortune 500 companies to urban educators, collegiate athletic programs and inner-city youth development agencies with the message of his own life's struggles and the principles, insights and strategies he used to overcome them. Eric is no stranger to the ills that plague our communities as he was born in Chicago, IL and raised on the streets of Detroit, MI. His childhood and adolescent years were difficult, and his life struggles and personal identity issues were intensified because like so many, he did not establish a relationship with his biological father until his early thirties. 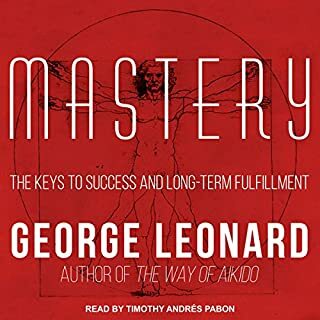 Would you consider the audio edition of The Secret to Success to be better than the print version? I love reading books, but to hear ET's words directly out of his mouth was a good touch, so in this case I would say YES! I loved that ET was such an open book with his life. I have started to watch at least one video a day on you tube, to keep myself in a good head space. However, I really wanted to know more behind the man he is, so the book answered a lot of those questions. What does Charles Arrington and Eric Thomas bring to the story that you wouldn’t experience if you just read the book? Goosebumps=) for example when ET was talking about when he found out he passed the GED. I felt so excited for him, in a way that I would not have if I was just reading it. This book, these words have helped me. I have been going to college for a major I wasn't happy with, today I changed my major. I want to work on truly making myself happy by doing what I believe only I can do. 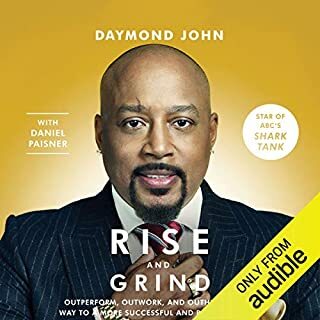 I did not read the print version but this is the best audio book I have EVER heard. Eric Thomas. He gives hope to those who never believed they could never achieve greatness. What did you learn from The Secret to Success that you would use in your daily life? The fact that a set back is just a setup for a greater opportunity, and to keep believing in your dreams and most of all keep believing in yourself. Most audiobooks I listen to are normally the same, where the narrator is basically reading the words on the page. With Eric Thomas, I don't think this man knows what the word normal means. This was the most interesting book I have ever listened to in my life. He brought a level of energy and passion to this book that GREATLY exceeded what I was expecting.This is the ONLY book that I have finished the same day I got it. Excellent job E.T. and I look forward for the next one. Eric Thomas has outdone himself with this one. I have watched what I believe was over half of the ET videos that I could find on YouTube for free, but I decided it was time to buy the audio book so support ET and man, this book changed my life. I found myself cheering and giving Eric an "atta boy" shout or cry throughout many parts of this book. This is a must read. Would you listen to The Secret to Success again? Why? 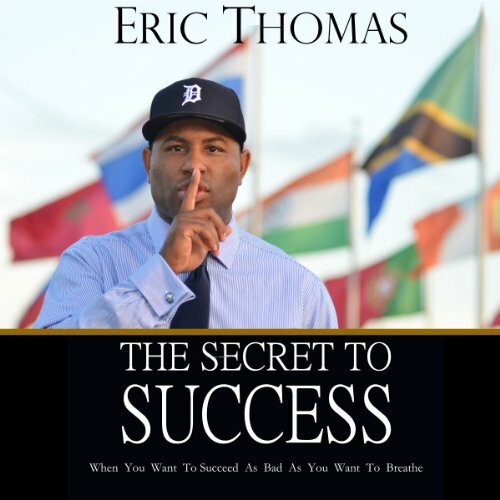 awesome awsome book, great listen and Eric Thomas really tells it best I think its much better than words on paper. honest but I was expecting something else. This book is more of a biography. I thought it would more motivational oriented. The audio is emotionally moving. The story is real and presented in a way that allows the listener to understand the struggles and successes. What was one of the most memorable moments of The Secret to Success? Eric Thomas had accomplished his GED and their were many individuals that had his similar struggle. His willingness to help the young and the future of our country is very moving. What about Charles Arrington and Eric Thomas ’s performance did you like? They were able to have the listener feel the emotions. I found myself cheering for moments of victory. /my comments were very focused on the story, As far as the secrets to success, the points that he make are embellished in story. The points are recapped at the send of the chapter. I Finished The Book In 2 Days!! Thanks!! It Just Goes To Show That With Faith, Perseverance, Determination All Things Are Possible. What did you love best about The Secret to Success? Eric has a way of making you listen. Especially when you are fed up with the same lifestyle that leads nowhere, he'll jerk you up and make you stop feeling sorry and actually do something. Thank you for being transparent and letting other people see how to make it from the bottom. The book is about Eric"s personal success from getting out of the hood, into college, then becoming a teacher. Its NOT a book to teach the reader how to become successful. Would you recommend The Secret to Success to your friends? Why or why not? What three words best describe Charles Arrington and Eric Thomas ’s performance? Do you think The Secret to Success needs a follow-up book? Why or why not? Absolutely not, everything about his life was told in this audio book. If you like ET work on youtube, this book isnt that. If you wanna know ET's story from beginning to end. This book is for you. This book is more autobiographical than self help. If you are familiar with his motivational videos this book is different from that. This is more of a recap of his life and journey. 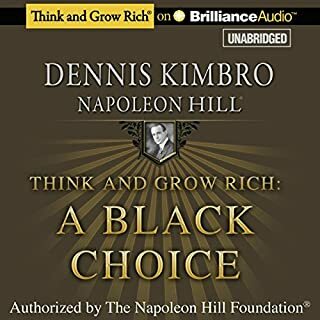 One of the worst books I've bought on Audible! I am a fan of Eric Thomas, but this book didn't encapsulate me, was very disappointed. Enjoy the man's speeches better that his book. I just didn't feel it, it's very poorly organised and the ideas are all over the place! Perhaps he will get better with the second book. As a single mother in the UK starting a business and getting a university degree at 41 . I'm living some of the most challenging times of my life . But listening to this book and ETs podcast have inspired me to. Strive to succeed as much as I want to breathe. I'm a big fan of E.T. I love listening to him on YouTube. But somehow, I think , this book is like one of those movies in which the trailer is amazing and the movie isn't that good . Based on his sepeaches , I was expecting much more . I listen to him while I drive. It's not a bad book, don't get me wrong and I do recomend it. ...But I was expecting more. Well written piece. Initially didn’t expect much from the books, as I thought it’d be like any other cookie cutter success/ motivational book. But no, this by far is the most powerful book I’ve gone through thus far. Very clever use of sounds to highlight key points and keep the listener engaged. Will definitely listen to again. motivation perfectly sum up this book up. it felt so real and has changed a lot of my perspectives glad I finished this. What makes this intresting and different to any other motivational speakers book, is that it is a story. E.T captures the storyline is very descriptive. Very relatable so you can grasp all his examples. Very motivational , moving, relatable & a moving book. Would highly recommend! Inspirational story and can relate as I have been homeless at 16. E.T talks about the mile stones he passed to become successful, from being homeless ,preacher, speaker, teacher etc... The importance of setting standards and goals to setting up his business and personal life. 1st of all I need to apologise to ET for taking so long to read this book. 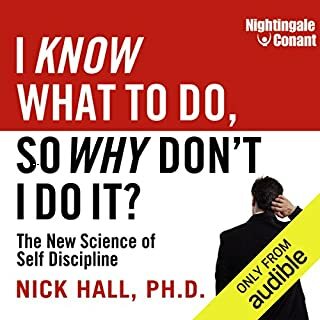 I knew about it years ago but jumped into the second book instead as my starting point as I don't enjoy reading so Audible helped me to finally read this. Glad I did! Even joined BU and studied the S2S course. But everything makes much more sense now having read the book and the principles hit home strong. Definitely cannot read once. If you're serious about change, please study this book, read it again and again until things start to fall into place for you. ET, you are a legend and your life is inspiring. THANK YOU! The narrator (Eric Thomas) is excellent. It is like listening to his speeches over a 5 hour epic. 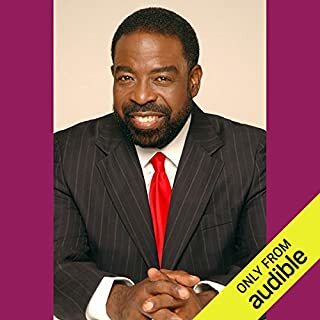 The story of his humble beginnings to his eventual success is inspiring and worthwhile in exploring in this audio book. Eric enhances his story through elaborating on the lessons he has learned and emparting them on the reader. You will finish this book a better person. This audio book was incredible. I couldn't stop once I started and love to listen to more of them. Truly inspirational and helped me to belive in myself again! emphatic story of ET and his struggles, loads of tips. great book and presented with his iconic passion! An incredibly inspiring story of perseverance, and dedication to achieve goals. Rising up out of hardship to achieve personal greatness and give back. A great read! EVERYONE needs to listen to this book by ET if they want to experience the success that they need and deserve. We have it so easy, and our lifestyle and environment tends to make us lazy. It's hard to imagine the courage and commitment that it takes for those less fortunate to succeed. This a great underdog story, a must read! Its brilliantly narrated, and leaves an inspiring in print. Excellent narration, very educational and full of relatable information. Highly recommend giving this book a read/listen. I listened to so many of your videos on YouTube prior to buying your audio book. But the book pieces everything together. Like you say, I need to find that dream and work for it! Do what ever it takes to get there. Your book is exactly what I needed to take my next step.